Shrimp, sometimes called prawn, are stalk-eyed swimming crustaceans with long skinny muscular tails (abdomens), long whiskers (antennae) and slender legs. They are related to crabs and lobsters. Unlike crabs and lobsters, they are more adept at swimming than walking. Their abdomens are largely dedicated to powering their swimming equipment. They swim forwards by paddling with swimmerets on the underside of their abdomens. Like lobsters but unlike crabs, they swim backwards by flipping their tail fan. Crabs and lobsters have strong walking legs, whereas shrimp have thin fragile legs which they use primarily for perching. 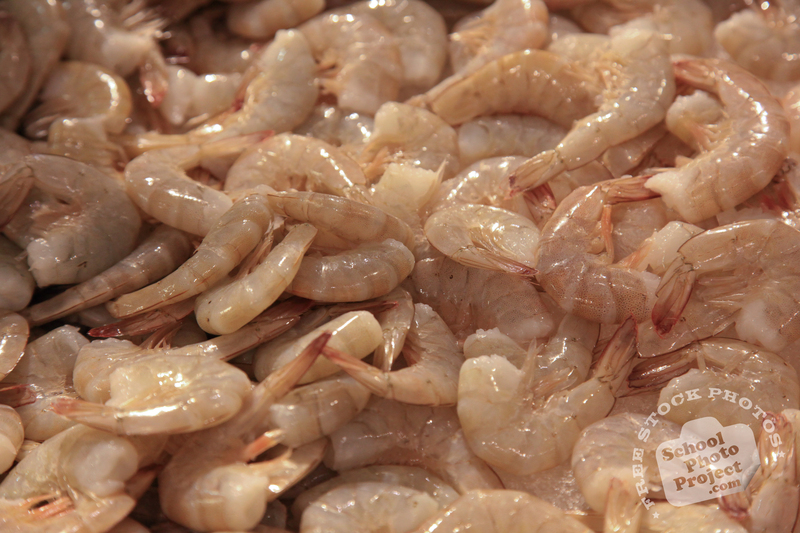 Shrimp are widespread and abundant. They can be found feeding near the seafloor on most coasts and estuaries, as well as in rivers and lakes. To escape predators, some species flip off the seafloor and dive into the sediment. Shrimp are often solitary, though they can form large schools during the spawning season. There are thousands of species, and usually there is a species adapted to any particular habitat. Any small crustacean which resembles a shrimp tends to be called one.